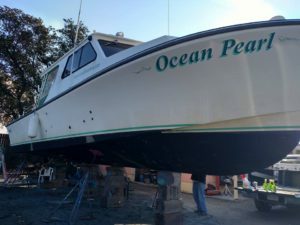 The Ocean Pearl is a 2007 38′ Evans, powered by twin 380 Cummins Diesels. 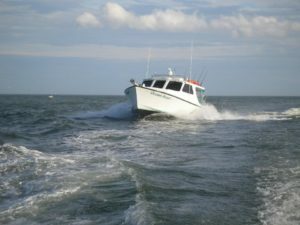 With her 14 1/2 foot beam she provides a spacious, comfortable, ride to and from the fishing grounds. 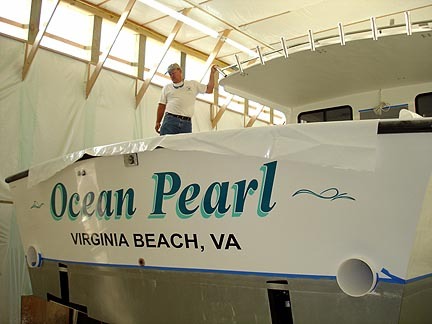 Onboard you will use the finest tackle made by Penn and Shimano. All you need to bring is an appetite for fishing, bag lunch and your beverage of choice. With years of experience on his side, Capt. Wray is sure to put you on the hot spots for the day. 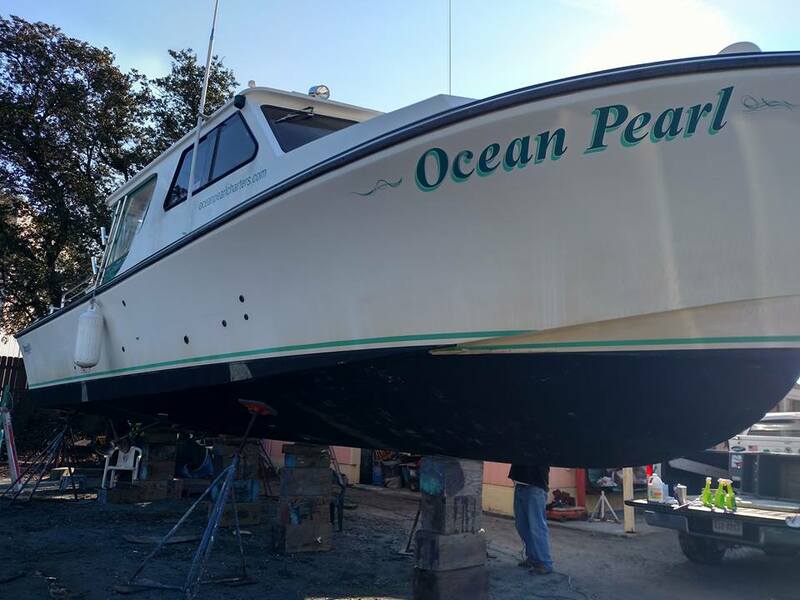 The Ocean Pearl is equipped with the finest in marine electronics and safety equipment to include 2 life rafts, radar, epirb, vhf, single side band radio, onboard generator, and cell phone. Ride in comfort in all types of weather with a heated and air conditioned cabin, large bathroom with hot &amp; cold water, Microwave and a coffee maker. All safety equipment is USCG approved. All crew members are enrolled in random drug testing program.